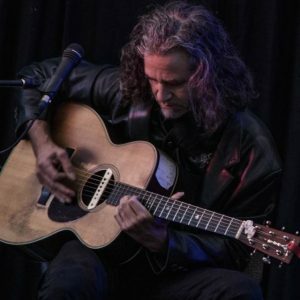 Noah Zacharin is a widely acclaimed guitar master, multi-genre songwriter, and dynamic performer. He was given his first guitar at age 9, wrote his first song at 13, and began performing at 14. In December 2015 Zacharin became a full-time recording and touring musician, and is more thrilled than ever to be doing what he’s always done. Born in Montreal, Zacharin splits his time between Toronto, the road, and an off-grid cabin on the Canadian Shield. He has been called “a stunning guitarist…no stylistic boundaries” (Holger Peterson, CBC, Stony Plain Records), “a wonderful songwriter and performer” (Paul Mills, Borealis Records), “a poet, a songwriter, a singer we have been waiting for” (the late Penny Lang), “a great guitarist/ singer/ songwriter…a wonderfully musical player” (Randy Finney, Founder TFGA), “in a league of his own” (Brian Gladstone, Founder and AD Winterfolk Festival), “one of the best songwriters this country has produced” (the late great Rick Fielding, recording artist, radio host), and “deserving to be mentioned in the same breath with names such as James Taylor and David Wilcox” (Minor 7th). 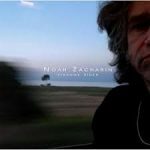 Zacharin’s recordings have all garnered popular and critical praise: Strange Rider made a number of ‘Best-Of’ lists for 2016. A Startle of Wings, his 8th CD, will be released in mid-May, while the songs for his 9th are on-deck, awaiting their turn in the studio. Also in the works is a DVD re-release of fan-favourite “Waiting on Your Love” which will include ASL video and a previously unreleased tune. As a soloist he has opened shows for Odetta, David Lindley, Dave Van Ronk, Jesse Winchester, Alex de Grassi, and Fairport Convention, and performed internationally in 100’s of venues from club to concert hall. As a producer and instrumentalist he has performed with some of Canada’s finest and appears on some 60 recordings from across North America. As a writer, his songs have been recorded by popular performer and radio host Laura Fernandez (who translated the song into Spanish), Rolling Stone (India) Cover Artist Rehan Dalal, and double-slide master, the late Brian Cober. He has officially showcased at BC Contact (2008), FARM (October 2016), and SERFA (May 2017). Noah Zacharin is also an award-winning poet (“a remarkable ability to articulate efficient, powerfully condensed ideas”: What 18/19) and translator, having won McGill’s Chester-Macnaghten poetry prize and Matrix Magazine’s translation prize. He has published hundreds of poems, translations, and reviews, in periodicals and anthologies worldwide, and is currently at work on several volumes of poetry, and a number of children’s books. In his spare time Zacharin reads, cycles, walks, and practices tai chi and kung fu.